The NWT is on Fire ! 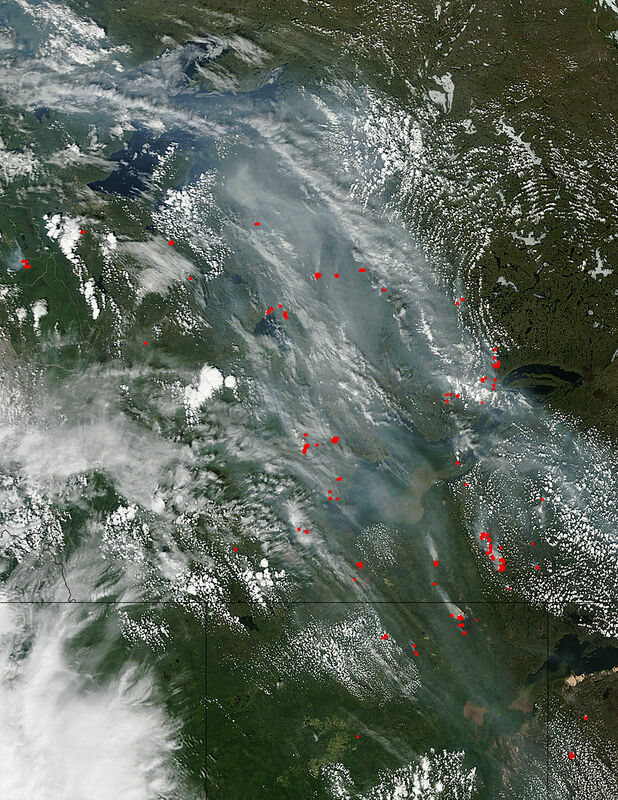 At last count there are 130 forest fires in the Northwest Territories. Check out the image below to see where they are. Satellite image from July 2, 2014. Click here to go to the NASA webpage. A couple of photos of Canadair Cl-215 water bombers that are being used to fight some of the forest fires, and a Beechcraft ‘Birddog’ airplanes for fire attach planning and flight safety. The photos were taken in Yellowknife a couple of years ago while putting out a fire at the City landfill. All photos taken using a Nikon D700 and manual focus Leica Telyt 400mm f/6.8 lens with a Leitax adapter.